Milan Elkerbout, research fellow at the Centre for European Policy Studies’ (CEPS) Energy Climate House discusses the impact of the revision for the 4th trading phase of the EU Emissions Trading System (ETS). 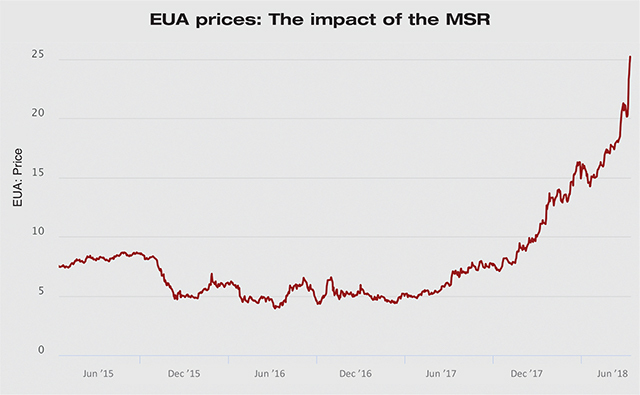 Setting the context of the EU ETS revision following the deal struck last November, Elkerbout highlights that European Union Allowance (EUA) prices are now five times above the levels of last year’s lows. This, he outlines, is on the back of over five years of continuous reform and reflects the anticipation of the beginning of the Market Stability Reserve (MSR), expected to add a degree of flexibility to the supply whilst making the system better equipped to deal with fluctuations in demand. He also points to a rise in ETS emissions as a consequence of economic growth in industry over the last few years, following on from the early years of the system set during the economic crisis, when industrial emissions dropped precipitously along with growth levels. The trend of phase three, the current trading phase to 2020, has seen a strong reduction in power sector emissions but these reductions have been offset in general by industrial emission stagnation. “The trend has been visible for the last three to four years and undoes a lot of progress achieved by the power sector,” says Elkerbout. 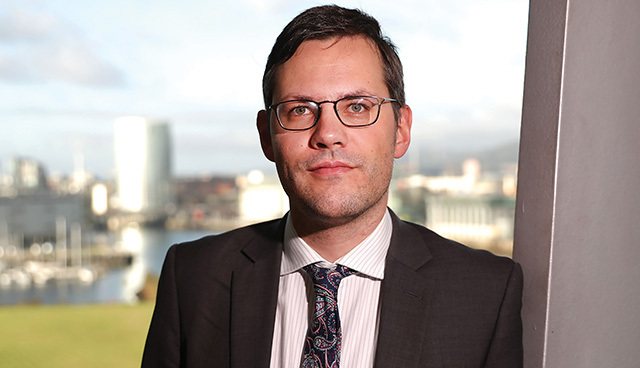 Addressing the revision’s impact on prices, he highlights that initially the market was unimpressed when the proposal was announced but this changed once the deal was completed last year, leading to a “spectacular performance”. Outlining the key elements of the phase 4 revision, Elkerbout believes that the most critical is that of the MSR, which he describes as “an institutionalised means of backloading”, taking allowances from the auctions schedule and reintroducing them at a later stage. Elkerbout states that there is also now a choice for member states to cancel extra allowances, if electricity generation is retired, while more generally there is a new strategic option to generate extra surplus, that could be invalidated later by the MSR by forcing extra domestic abatement. Elkerbout highlights existing criticism that, even though EUA prices are now at €20-25, they are still not at fuel-switching levels. However, he believes that a price signal can be important at any level. He also highlights some member states advocating for an emergency break, embedded in the ETS directive, which allows for the convening of a committee if there is a too rapid increase in the price. Although, while the European Commission can be compelled to convene the committee, it has complete discretion on its final decision. “Actually, the EC is quite happy with what has happened here because it was a point of the reform to get carbon prices higher, even if this can’t be stated directly in Brussels,” he states, which instead prefers to refer to addressing supply-demand imbalances. The impact of the revision has been that a lot of utilities in continental Europe are “hedging considerably”, although these patterns are changing. 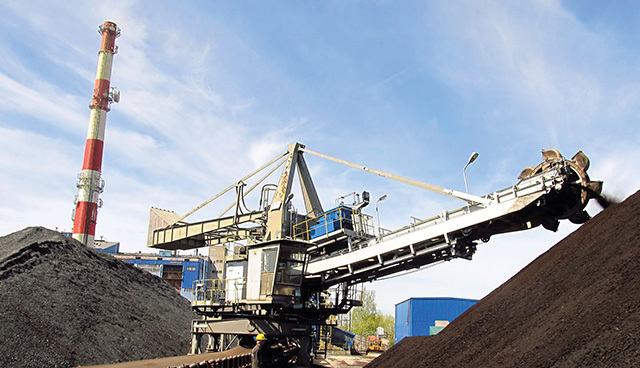 In the rest of Europe, the ETS is also important in terms of energy intensive industries, in particular steel, cement, refineries, and chemicals production. The most recently available data from April this year shows that the electricity sector is still the largest, although its share has been shrinking over time, especially in those countries who continue to focus extra domestic efforts on electricity sector emissions and closing coal-fired plants. However, the general trend is that with economic growth there has been a growth in emissions again. Elkerbout draws attention to a change in free allocation rules, which has seen a shrinking of the share of free allowances for energy intensive sectors. In 2017, for the first time, at least some share of emissions in all sectors had direct exposure to the carbon price. There are now only three to four sectors that are responsible for the majority of free allowances and this has had a major impact on the system because free allocation surplus in recent years has contributed to depressing prices. A look at the total UK ETS emissions, representing 3.9 per cent reduction compared to 2016, shows an enormous impact of the domestic carbon price floor in contrast to the rest of the EU. Examining whether the revision has made the ETS a more credible and attractive system, Elkerbout says that looking long-term, under the rules agreed in November last year, the cap will reach zero in 2058. However, the EC’s and some member states’ adoption of ambitious national climate targets which are in excess of the EU target, makes it likely that this will be brought forward for revisions in the not-too-distant future. Outlining the view from Brussels, Elkerbout says a genuine desire to continue co-operation on climate and energy exists. However, he explains that it will be subject to the general framework of co-operation. Outlining the existing association agreement, commonly known as the Ukraine model, which allows for varying degrees of co-operation on the environment, climate and energy legislation, he concludes that association agreements have proven in the past to be flexible instruments, however, all have been designed to slowly integrate countries into the EU, rather than to leave it, as the UK are seeking to do.